As much as summer was a blast I am well and truly ready for chillier days and getting snuggled up. 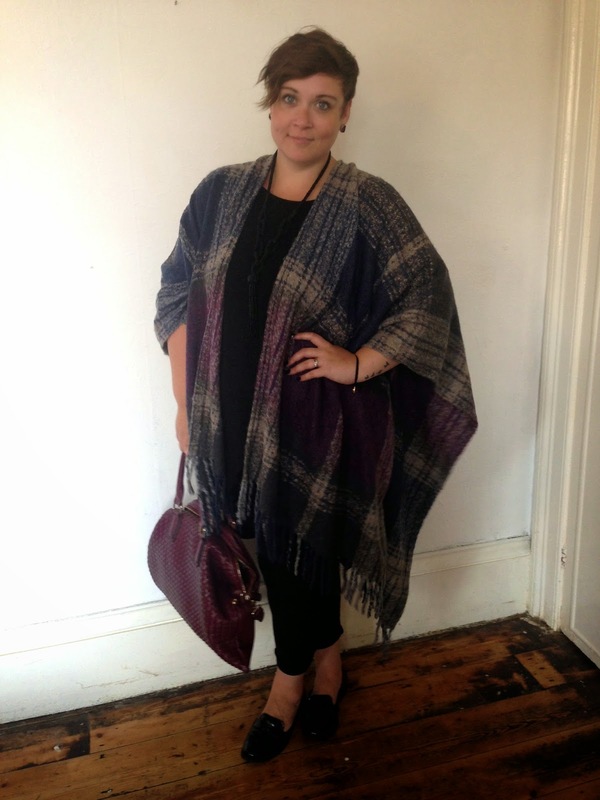 I received this gorgeous Purple and Navy Checked Wrap from Yours Clothing today. 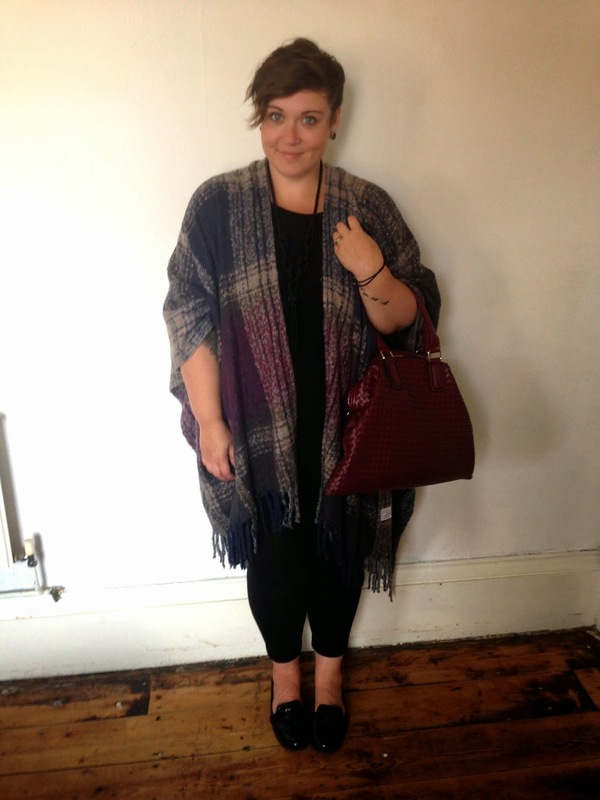 A few of the blogging gang were sent them to see how we'd style them up. 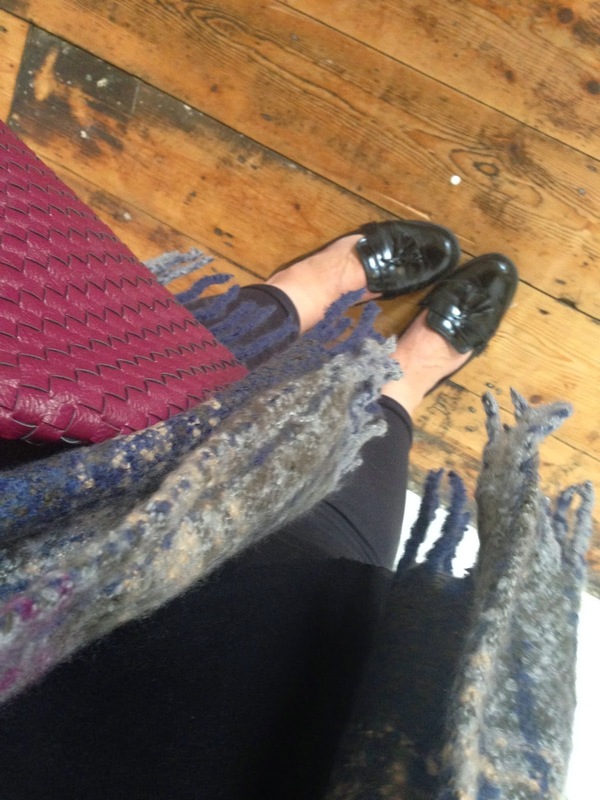 I kept mine simple with a basic black layer of leggings and a long top underneath and added tassel loafers and an autumnal berry bag for a preppy kind of look. 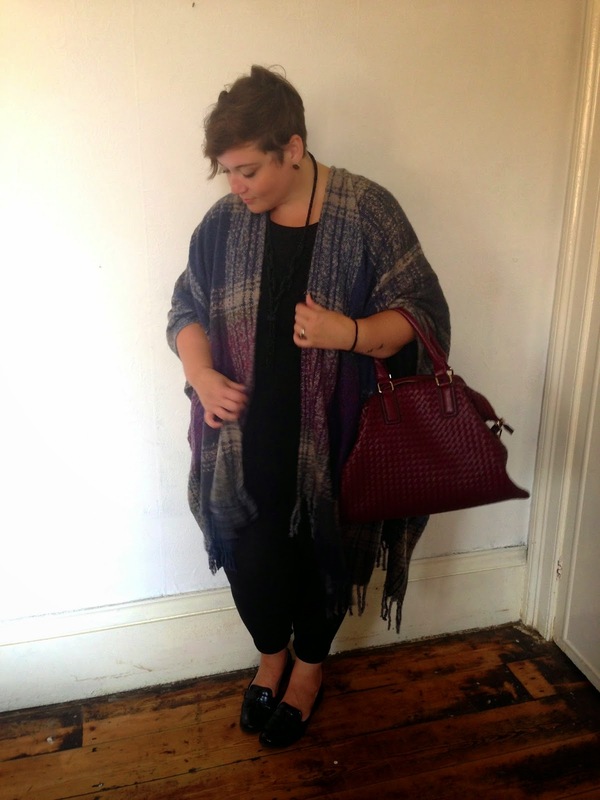 The wrap is super soft and great for chucking on over jeans or leggings on cooler days. I do a lot of travelling and this is going to be the perfect travel companion, it's basically like carrying around a stylish and wearable blanket! It's one size, and has tonnes of room so I'd say it would easily range from about an 18-34. This would look great belted if you facing giving it a bit more shape, maybe with leggings and some knee high boots.